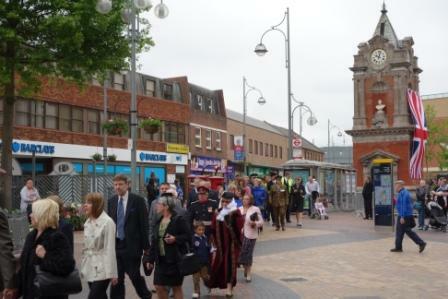 On 9 June 2013 Roger Mayo and Margi Carlson were privileged to be a part of the celebrations for the unveiling of a sculptured bust of the Queen Elizabeth II in the south niche of the Clock Tower in Broadway, Bexleyheath. 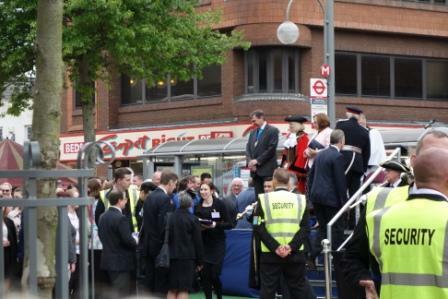 The bust marks the 60th anniversary of the Queen’s Coronation. 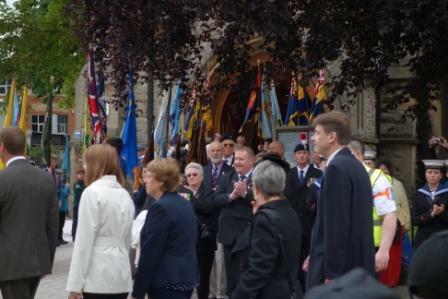 Invited due to the royal connections of Blendon Hall, Roger and Margi joined the parade of dignitaries and local groups which left the Civic Offices at 10am and made their way to Christ Church for a special service to celebrate the event. 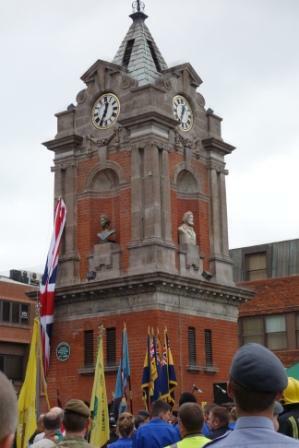 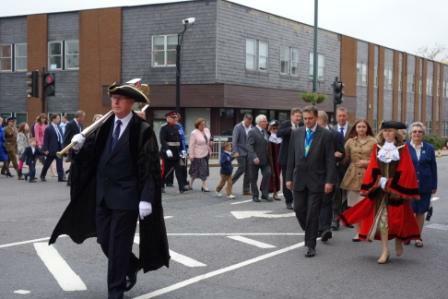 At midday the parade made its way back to the Clock Tower where thousands of members of the public were gathered. 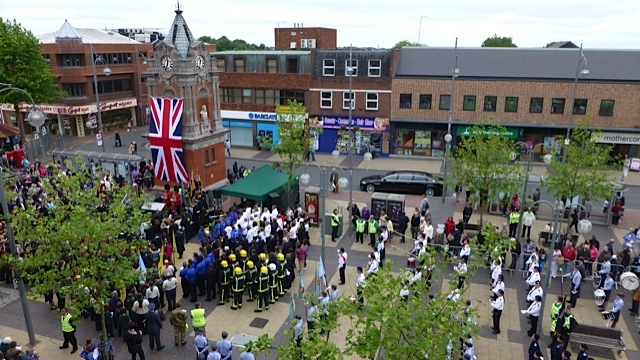 ‘Jerusalem’ and ‘God Save the Queen’ were sung before speeches were made by Ross Paton, Chairman of Bexleyheath Business Partnership, by Rev. 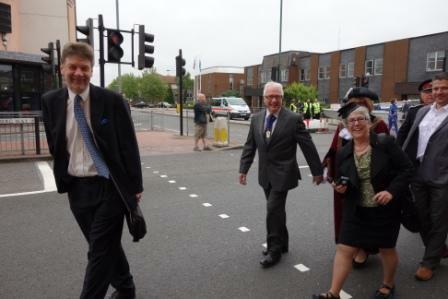 Francis Jakeman, vicar of Christ Church, by the Mayor of Bexley, Cllr Sharon Massey, and by the Deputy Lieutenant, Major David Hewer. 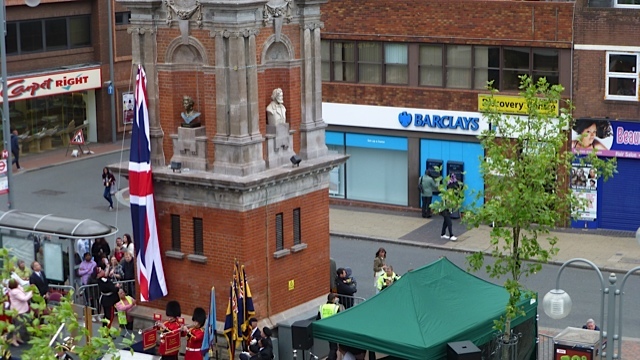 The Deputy Lieutenant then pulled the Union Flag which had been covering the south side of the Clock Tower to reveal a bronze bust of Queen Elizabeth II, sculpted by Frances Segelman. 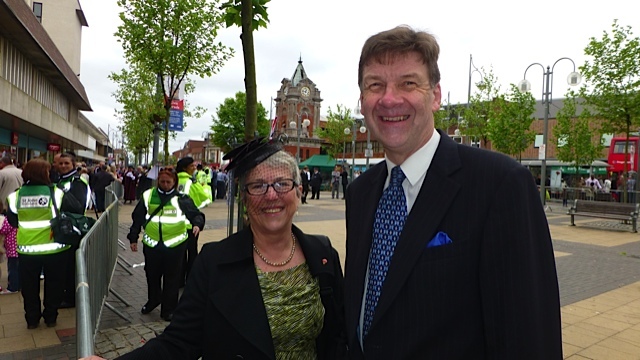 Roger and Margi enjoyed being a part of such a special occasion.